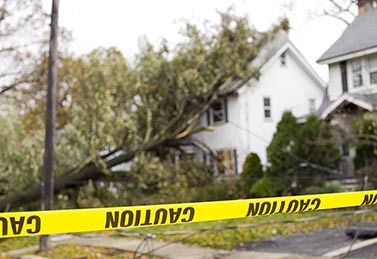 Was your home damaged ? Photograph and document all of your damages and repairs. Southmost Realty, Appraisals & Court Expert Witness provee Evaluaciones de Propiedad, Consultas, Servicios de Corretaje y Servicios de Apoyo Litigio (Testimonio de Testigo Experto) en las (pero no limitado a) siguientes categorias. What Is Eminent Domain ? Exercise functions ofpublic character, following the payment of just compensation to the owner(s) of that property. Visit : Southmost Realty, Appraisals & Expert Witness Services offers the full range of litigation “EMINENT DOMAIN” related appraisal services in several counties in Texas. Contact us for rapid attention to your specific consultation or Appraisal needs for AFFECTED properties located within the State of Texas. The power to take private property for public use by a state, municipality, or private person or corporation authorized to exercise functions ofpublic character, following the payment of just compensation to the owner of that property. Selling your house can be a huge headache—especially when you're selling it in today's buyer's real estate market. One of the most challenging aspects to deal with is determining your home's value. When it comes to fixing a fair price, homeowners always shoot high. After all, you love your house and you know how much work you've put into it. Won't someone else appreciate it as much as you do? The short answer is no. An experienced real estate agent will take the emotional factor out of the equation and help you come up with a realistic market value for your house. But if you want to sell your house yourself without a realtor—or you just want to be prepared for the number they advise—here are five factors that can heavily skew the asking price of your home. We've all heard how important "location, location, location" is, and with good reason. A great house in a bad location can knock as much as 50 percent off the value. If you have the nicest, most expensive house in your average neighborhood, then the value is also going to be much lower than it would be if you had the least expensive house in a nice neighborhood. Other factors, like freeways, proximity to a landfill or sewage treatment center, and train tracks, can knock 10 to 15 percent or more off the value of your home. This is why it's so important to shop location first when you're buying a house; you can always add home improvements, but moving it to another neighborhood isn't going to happen. If your fridge is more than 15 years old and your oven isn't black or stainless steel, then count on listing your house lower than you'd be able to if you had a fully updated kitchen. With the influx of homes on the market right now, people can easily get a home that doesn't need any updating, so why would they choose one that does? If you don't want to update your home in order to sell it, know that outdated rooms can affect the value of your home by up to 10 percent. Many people don't want to own a home surrounded by rental properties. Although it's a stereotype,tenants often don't keep up the property like an owner would. In this case, the value of your house can go down as much as 15 percent, depending on how many rentals are in close proximity to your home. In this market, don't count on getting more for your home if you just upgraded the plumbing, bought a new furnace, or replaced your roof. However, if your home does need those upgrades and you haven't done them, then it's going to knock as much as 20 percent off the value of your home, depending on how severe the upgrade is. Buyers simply don't want to shell out for major upgrades - especially when there is a large pool of other properties to choose from. Most people looking to buy a house have kids or pets. If your home doesn't have a fenced backyard, you're going to alienate a huge portion of the market since fenced backyards are essential for keeping kids and pets safe and contained. Not having a fence can knock up to 10 percent off your home's value. While some of these are obvious deterrents, it’s still important to remember their potential effect on your selling price when considering a property in one of these areas. It’s not to say that you can’t buy a property in an area with a negative external factor; it’s that you need to take it into account when you evaluate the deal and consider your sales price and holding time. Doing so can potentially save you from making a bad investment or at the very least, set your expectations appropriately regarding potential profit. What about you? What kinds of external factors have you found that have hurt the sale of one of your properties? Visit : Southmost Realty, Appraisal & Expert Witness Services offers the full range of litigation related appraisal services in several counties in Texas. Contact us for rapid attention to your specific consultation or appraisal needs in the state of Texas. Property taxes too high ? Getting expert assistance to save time and reinforce your property tax appeal is almost always worth the price. At Southmost Realty Appraisals And Court Expert Witness we are experts in our respective jurisdictions and understand the local markets and effective arguments to make to leverage the best return. We use our knowledge and expertise to help make your property tax appeals successful. For the complete article click here www.SouthmostRealtyAppraisalsAndCourtExpertWitness.com. We specialize in valuation of “Property Tax” Appraisals and Litigation related Appraisal Assignments. Visit : Southmost Realty, Appraisals and Court Expert Witness, offers the full range of litigation related appraisal services and consulting regarding High Voltage Power Lines, Wind Turbines, Gas/Oil Pipe Pines, Highway Expansions, Irrigation District Expansion Easements, and other eminent domain issues in several counties in Texas. Contact us for rapid attention to your specific consultation and/or appraisal needs (Se Habla Espanol). Laredo, Texas; Star County; Hidalgo County; Cameron County? Overhead transmission lines have the potential to reduce the sales price of residential and agricultural property. The Public Utility Commission of Texas (PUCT) unanimously approved May 9 an application by Electric Transmission Texas (ETT) for a certificate of convenience and necessity to build a 345-kV transmission line from the Laredo area into the Rio Grande Valley. The transmission project includes construction of about 156 miles of 345-kV transmission lines that will connect ETT's Lobo Substation near Laredo with substations north of Edinburg and will add two new substations along the line route. The cost of the transmission project is estimated at about $318 million. In approving the CCN application, the PUCT also approved a unanimous settlement with nearly 100 landowners along the route, the PUCT staff and the Texas Parks and Wildlife Department. The new transmission line from the Laredo to the Edinburg area will cross portions of Webb, Zapata, Jim Hogg, Brooks, Starr and Hidalgo counties. ETT plans to construct the transmission line on steel single-pole structures, an approach supported by landowners. The Electric Reliability Council of Texas (ERCOT) determined Oct. 11, 2011, that the project is critical for the reliability of the ERCOT system and, specifically, the Lower Rio Grande Valley. Currently, there are only two 345-kV transmission lines serving the Valley. Both of the existing lines import power from the Corpus Christi area and run parallel to the Gulf Coast, which means both are vulnerable to hurricanes and other severe weather. Work to upgrade those two lines already is underway and should be complete this summer. ETT is a joint venture between subsidiaries of American Electric Power (AEP) and MidAmerican Energy Holdings Co. The joint venture acquires, constructs, owns and operates transmission facilities within ERCOT, primarily in and around the AEP Texas Central Co. and AEP Texas North Co. service territories. The presence of high-voltage power lines near a property has long been a bane of real estate agents. Not only are most power lines unsightly and sometimes noisy, but also they can raise a number of safety concerns among buyers related to the risk of electrocution and rumors that exposure to electromagnetic fields can cause a variety of diseases, including cancer. These drawbacks have translated into consistently lower property values for homes near power lines. According to the Appraisal Journal, the decline in value diminishes as the distance between the home and the power line increases. Also, if the lines are partially obscured from view, the decline is also found to be less severe. However, if the view is entirely unobstructed, the price of homes as far away as one-quarter of a mile can be affected. Fifty-two of 54 real estate agents surveyed by the "Roanoke Times" in 1998 stated that high-voltage power lines lowered residential property values. However, real estate agents noted that more expensive homes were likely to suffer a disproportionately large decline in value compared with cheaper properties, a discrepancy they attributed to the selectivity of a wealthier clientele. "Cheaper property won't be affected as much, but homes in exclusive areas will lose value," said William Ward, the owner of a Roanoke real estate agency. "People who can afford to pay $200,000 for a house are not going to want to pay that much for a house near a power line. Therefore it drives the price down." For additional information visit: Southmost Realty, Appraisals & Expert Witness Services offers the full range of litigation related appraisal services in several counties in Texas. Contact us for rapid attention to your specific consultation or appraisal needs in the state of Texas. You can reach us at (956) 412-1357 or (210) 322-0297. When you find a home that seems perfect in every way, it's often hard to see beyond your initial impressions. You might not see the crack in the foundation, the school district that isn't up to par, or the potential downside of a backyard pool. You need the guidance of a trusted adviser to help you see what's beyond the surface. Maybe you can't relocate to the markets in the new "Top 10 Markets for First-time Homebuyers" list from Realtor.com (although you might already be in one of them! ), but the metrics used by Realtor.com to compile the list gives great hints of what to think about if you're considering buying a home in your current area. All of these factors (among others) help real estate professionals determine whether markets favor buyers or sellers, and whether the real estate climate is considered favorable or challenging. They're also factors you can look into, too, as you start researching your options for buying a home. But every market is unique. And when you're ready to start the home buying process fully understand the market conditions in your area is to talk to a real estate agent who knows. How much is my house worth, has your city bounced back in today’s real estate market ? If you’re curious about your home value, we’ve got tools to help you figure out how much your house is worth. The combination of our property value estimates, our interactive pricing tool and local real estate agents gives you the insight you need to price and sell your home. For more details give us a call.. I WILL NOT SIGN ! GET OUT OF MY PROPERTY AND NEVER COME BACK! I WILL NOT DO THIS TO MY FRIENDS AND NEIGHBORS ! 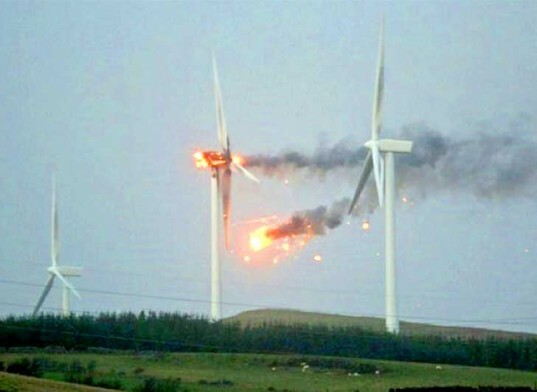 REGARDLESS OF WHAT THE WIND INDUSTRY ASSERTS, THE SERIOUS CONCERN FOR PROPERTY VALUES COME FROM PEOPLE WHO THINK THEY MIGHT BE ABLE TO HEAR OR FEEL THE TURBINES ENOUGH SO THEY CANNOT ESCAPE THE NOISE AND VIBRATION EVEN WHEN THEY ARE JUST TRYING TO ENJOY THEIR PROPERTY, AND ESPECIALLY WHEN THEY ARE TRYING TO GO TO SLEEP. FOR A HOME AFFECTED BY THIS SORT OF PROBLEMS THE REDUCTION IN VALUE MIGHT BE VERY LARGE INDEED, CERTAINLY INTO DOUBLE DIGITS AND IN THE WORST CASES APPROACHING 100% . THIS IS WHAT HOME OWNERS REALLY FEAR. IN THE 2007 BURCH V. NEDPOWER MOUNT STORM, LLC DECISION, A WEST VIRGINIA COURT FOUND THAT WIND FARMS CAN CONSTITUTE A NUISANCE TO NEARBY LANDOWNERS. EVEN THOUGH THE STATES PUBLIC SERVICE COMMISION APPROVED THE FACILITY, THE COURT RULED THAT SUCH APPROVAL DOES NOT OVERRULE THE COMMON LAW OF NUISANCE. ACCEPTED CAUSES OF NUISANCE INCLUDE NOISE, EYESORE, FLICKER AND STOBE EFFECTS OF LIGHT REFLECTING FROM BLADES, POTENTIAL DANGER FROM BROKEN BLADES, ICE THROWS, AND REDUCED PROPERTY VALUES. Do you live in Laredo, Texas; Star County; Hidalgo County; Cameron County? Do you want FREE ELECTRICITY? PURCHASING A HOUSE NEAR POWER LINE ? For Attorneys: Litigation appraisals require expert attention! Your client's “property value” is their largest asset ! Call on Southmost Realty Appraisals & Court expert witness. Why do you need an expert battle tested, and strategic appraiser witness? WHY DO YOU NEED AN EXPERT WITNESS ?